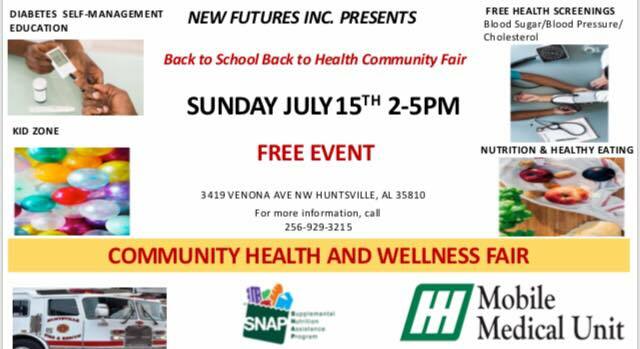 Back to School Back to Health Community Fair : New Futures, Inc.
Join New Futures in this Community Health and Wellness Fair to encourage everyone to focus on getting back to health! Free screenings for blood sugar, blood pressure and cholesterol. Diabetes management education, nutritional eating, and fun kid zone activities will all be available. Everyone is invited to visit with us at New Futures!